Dr. Main graduated from Michigan State University with a Master of Science degree and his Doctorate of Veterinary Medicine in 1973. His wife, Val, graduated from Michigan State University with a Bachelor of Science degree in Dairy Science. Together, they first established a successful veterinary practice in Lowell, Michigan before moving to Mason in 1988. They both enjoy maintaining friendships with former employees and mentoring many through medical or veterinary school. So far, they have mentored five employees through veterinary school, two through a medical doctorate, and another who is an interior design specialist in hospitals. Dr. Main and Val are avid Michigan State University and Mason Bulldog football fans, and are proud supporters of Mason High School athletics. In her free time, Val also enjoys growing and cultivating her many beautiful orchids. 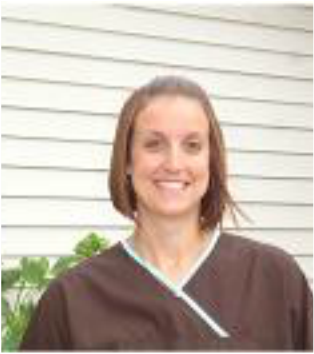 Sandi Has worked at Mason Veterinary Clinic since 2002. Sandi holds a bachelor for science in Animal Science from Michigan State University. 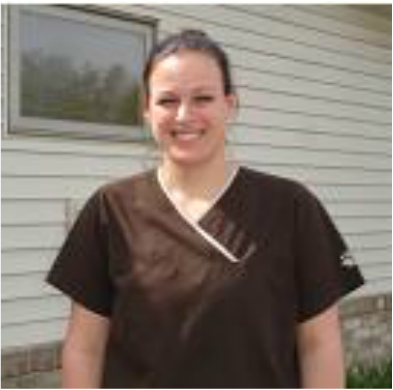 She also studied veterinary technology at Purdue University. Sandi enjoys many things, such as; spending time with her husband and three young sons, caring for her weimaraner, Blitz, her lab, Jake, 3 goats, rabbits, and countless chickens, playing basketball, and watching Michigan State athletics. Kim has worked as an animal handler since 2008. KIm holds a bachelor for science in biology from Central Michigan University and a bachelor for science in Animal Science from Michigan State University. Kim enjoys riding dressage, reading, and running the occasional 5K. Kim also has two dogs of her own, a cattle dog named Tex, and a mix named Henry. Jen has worked as an animal handler since 2010. 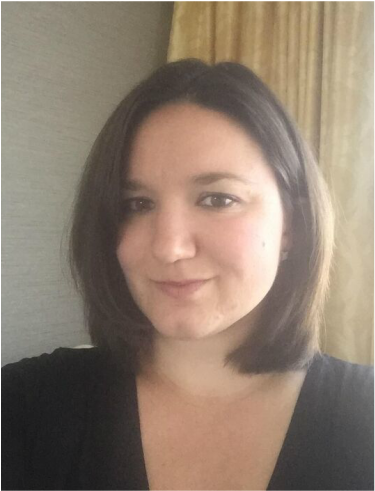 Jen holds a bachelor of science in Health and Education from Central Michigan University. She coaches the girls varsity basketball team at Mason High School. Jen enjoys spending time with her husband and two children, caring for her dogs, Macy and Max, and rooting for the Detroit Tigers. Caleb has been working as an animal handler since 2011. He is a graduate from Michigan State University, majoring in electrical technology with a specialization in agricultural engineering. Caleb enjoys spending time with his dogs Diesel the lab, and Sawyer the Australian shepherd, riding, and competing in hunter-jumpers. Stella has been at Mason Vet Clinic since 2013. 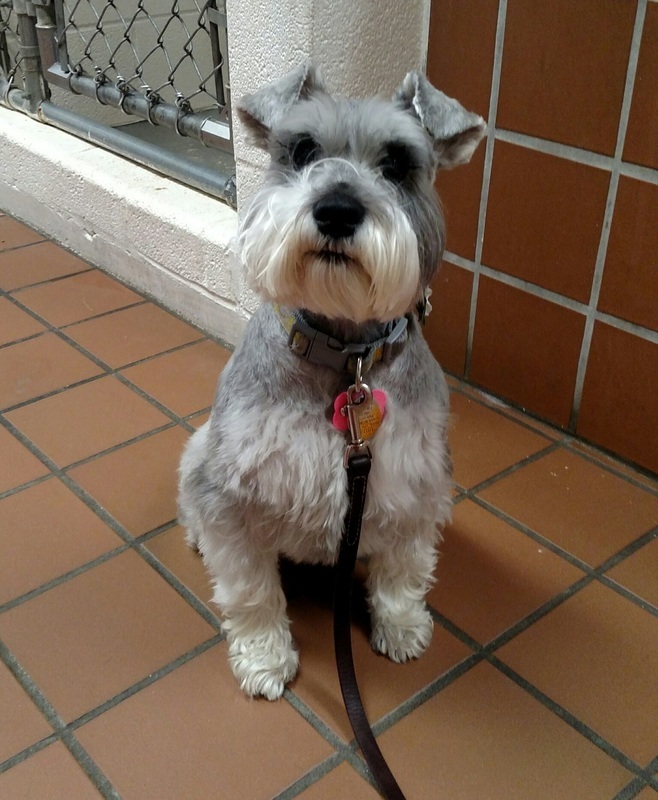 She is a Miniature Schnauzer. Stella enjoys long walks anywhere, hunting, and bothering her cat roommates. She dislikes grooming, baths, and flagpoles. 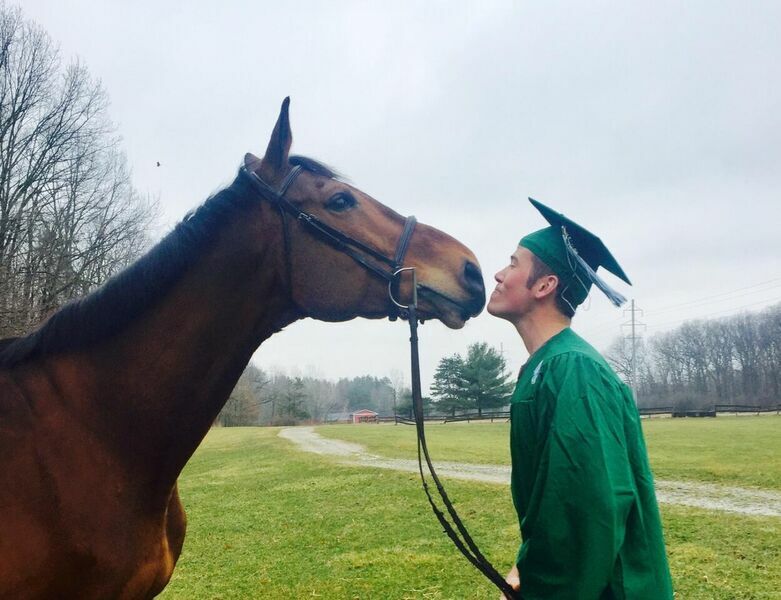 Julia has been working at Mason Vet Clinic since spring break 2015. She is planning on working with animals throughout her life. In her free time, Julia enjoys art, and playing with her dog, a golden retriever named Charlie. Storm is a Mason High School graduate, and he currently attends Michigan State University, and is majoring in Fisheries and Wildlife. He is thinking about going into the medical field. 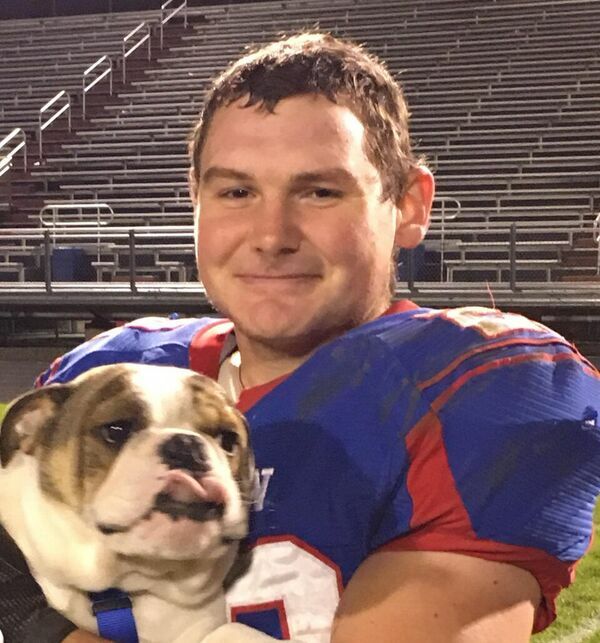 In his free time, Storm enjoys football, weightlifting, and playing with his dogs, including his Bulldog, Murphy. Shirley has worked as an animal handler at Mason Vet Clinic since 1996. Previously, she owned a dog grooming business that she ran for 17 years. In her free time, Shirley enjoys gardening, reading, and spending time with her two corgis, Kite and Sprite. Kelsie is a student at Lansing Community College, she plans to attend Grand Valley State University to hopefully become a Physicians Assistant. In her free time, Kelsie enjoys art, and spending time with her family, including her dog, Dexter.